In farming increasing yields is the end game. This year, in particular, yield quantities may be quite variable in eastern South Dakota. 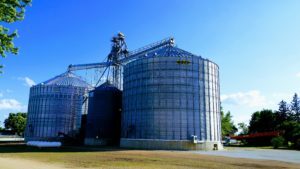 With markedly low commodity prices and an early harvest of both corn and beans, grain storage for longer than average periods can be expected. As a Pioneer Seed sales rep I spend my days helping corn and soybean growers achieve their goals of maximum grain production while increasing efficiencies and decreasing risks. In fact, providing growers with the right products for their acres, seed protection, and technology tools to improve planting accuracy, and data collection and analysis, as well as risk management options from crop insurance products, is part of Bauman Agency’s philosophy to assist in making the greatest possible profit from our products. As we prepare to bin the 2018 crop, we need to remember some of the lessons learned from past storage challenges. Bauman Agency tries to provide helpful information to “insure” your continued success. With that in mind, earlier this month, we brought in John Gnadke of Advance Grain Systems, Inc., from Ankeny, IA. John has devoted his career to the grain drying and storage business in the US and Canada. He consults with some of the largest grain companies yet also knows the challenges of small farm bins and gives helpful insights into each individual’s unique storage needs. Raising a bumper crop, putting it into a bin, and then not checking it regularly is a common theme that John sees across the US. He says that if we had a 5 gallon pail of cash sitting just inside the door of our bins, we would be much more willing to go, open the door and check to see that it is still in there. The opportunity to capture a premium on quality grain can quickly turn into a discount due to musty odor or 2-3% damage by allowing a crust to form on the top. We need to prepare to possibly store the 2018 crop, deep into 2019, before a market potentially opens up at a profitable level. Take steps to put the grain in the bin in good shape and then develop a plan of action to keep it that way. The most important aspect of grain handling and storage is your safety! Grain inspection should always involve two people one inside the bin and the other outside on standby. 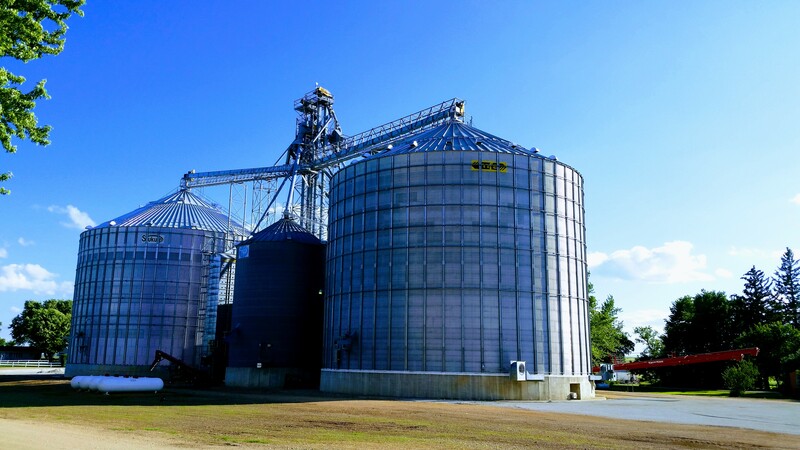 Before entering a grain storage area, make sure bin ladders are safe climbing condition, shut down all electrical power, fans, and unloading equipment, wear an air filtration mask to protect yourself from toxic molds, and be sure your footwear is clear of mud or snow when climbing bin ladders. Protecting your health and life are critical to the success of your farming operation and your family’s happiness. Please be careful. Here’s to a safe harvest of both quality and quantity. Enjoy!